Tavy Tars: Fancy a Cruise to Scilly? 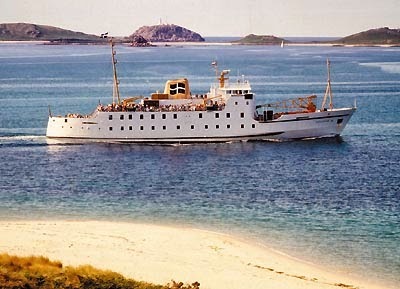 Fancy a Cruise to Scilly? For the second year running, The Tars will be singing their way across from Penzance to Scilly and back on the Scillonian III, this year on 27 August. This is a fundraiser for the RNLI, so join us if you fancy being entertained by us on the rolling deep (er, not too rolling we hope).